The ground that the Victory Hall is built on was donated to Broadclyst village by Sir Francis Acland. It by all accounts had been a farm but a building was erected for the use of the community, since then it has been added to and upgraded and continues to be improved to suit modern day demands. 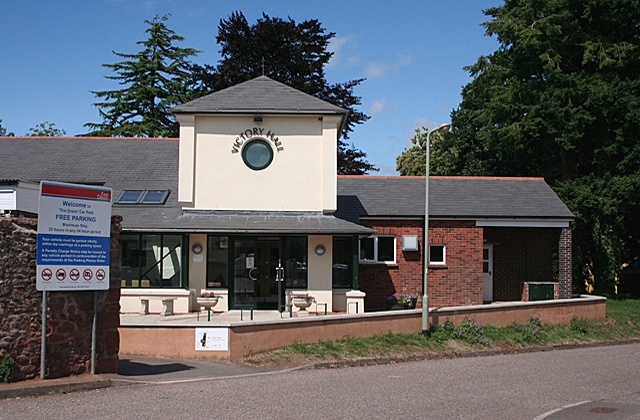 Broadclyst Victory Hall is only 7 miles from Exeter and is easily accessed from the B3181 which has a frequent bus service. It is adjacent to a well lit free car park. Within walking distance of the hall is a delightful church, pub, b&b, shop, and post office and now a thriving charity shop. 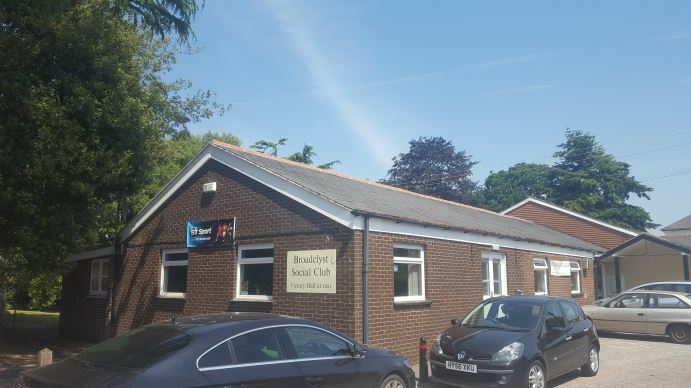 Recently the hall is running a community café on Thursday mornings. Broadclyst village is part of the National Trust Killerton estate so provides a pleasant backdrop for photo opportunities. Bookings Clerk Tina Mcallister would be happy to answer any questions you have regarding amenities, licences and availability of rooms in the hall, either by e mail or by telephone. The management team would be happy to recommend local florists, caterers and designers and special deals can be made depending on requirements and availability. 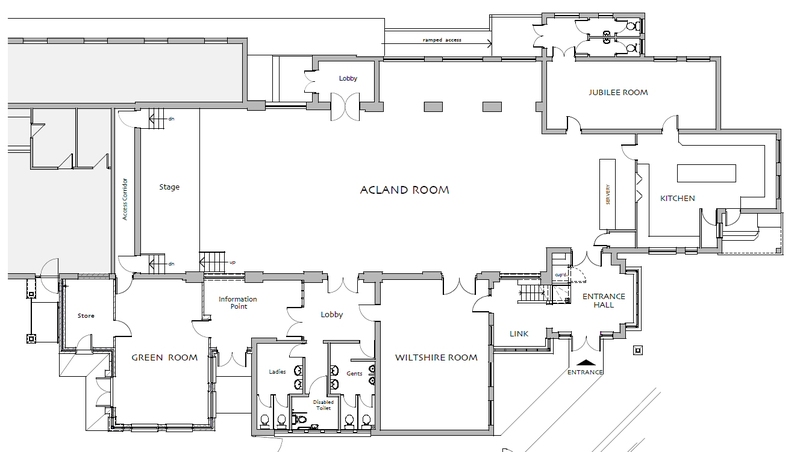 You can view a plan of the Victory Hall by clicking on the image below. Alternatively, you may download a PDF version by clicking here.